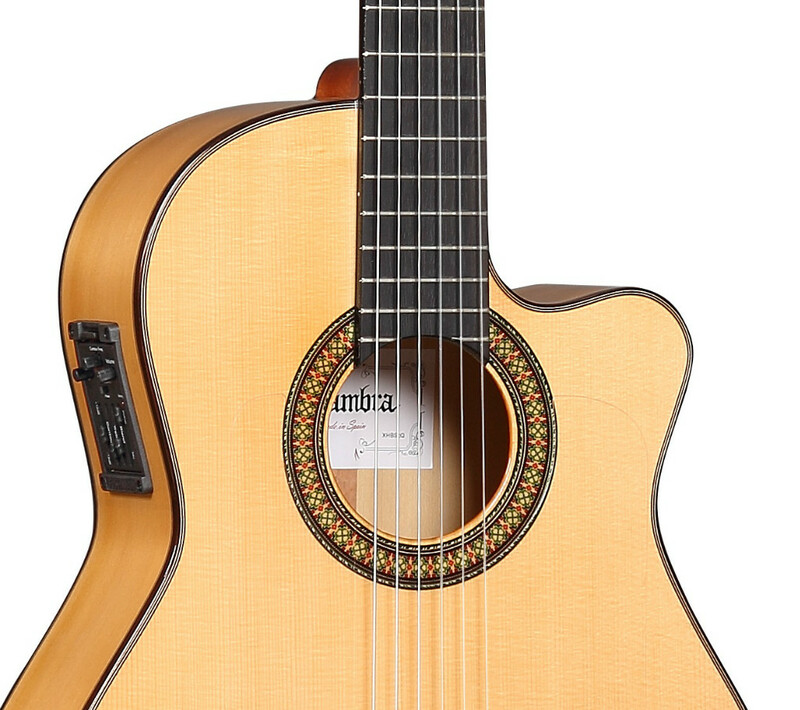 The Alhambra 7Fc is a breathtaking flamenco guitar with a stunning solid cypress back and solid cypress sides. 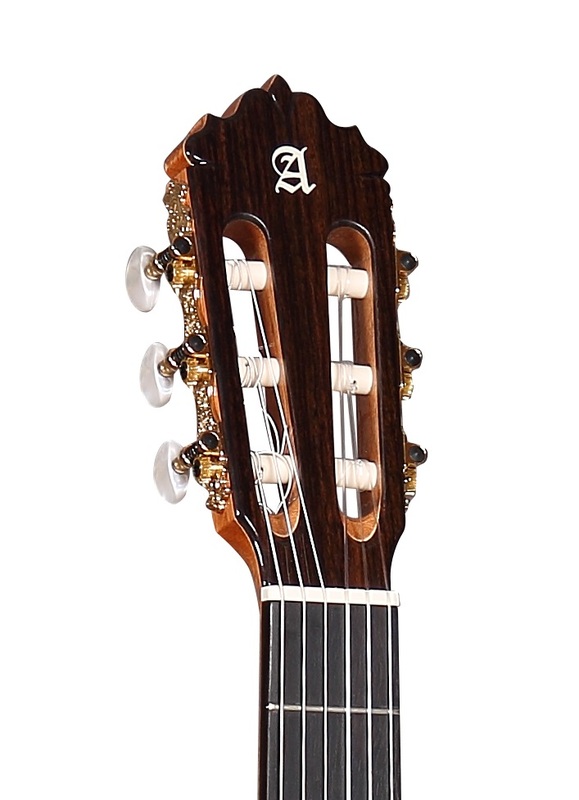 This spectacular creation of the Alhambra luthiers features a very authentic Flamenco sound and a sophisticated cut away designed to satisfy the demands of any composition in any style. 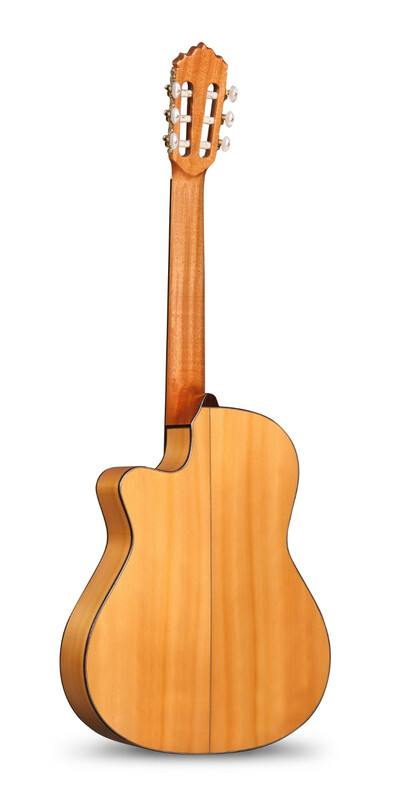 Its tone is reliable up and down each fret on all strings. 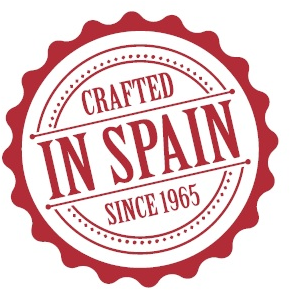 It has a bright resonance, very “percussive” in a way. 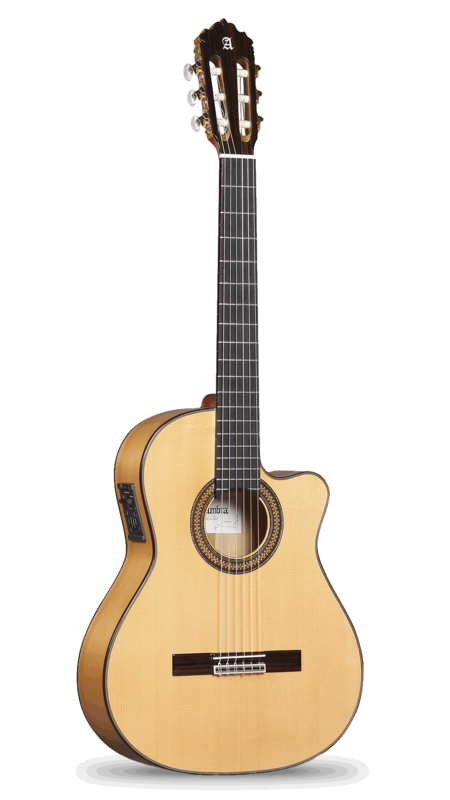 It cuts through the mix and undoubtedly is an excellent Flamenco guitar.